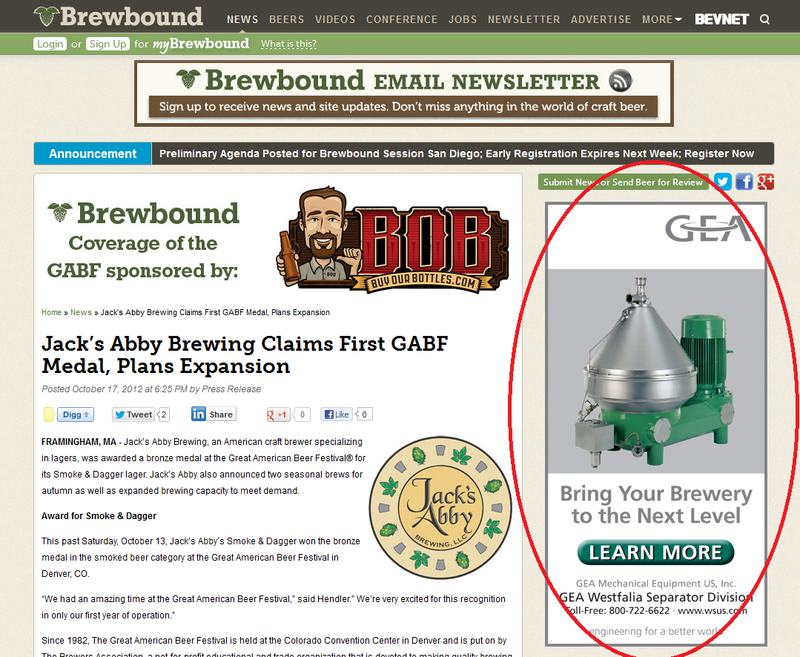 I clicked into a link to catch up activities at local brewery Jack's Abby, and was surprised by one of the ads on the site. A Westfalia centrifuge? Did clever ad AI figure out that I was a little interested in quoting a pilot unit for work? Nope. This ad was sold directly to the site. 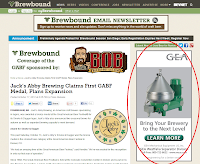 It just seemed wildly out of place on a Craft Beer and Brewery website There's a lot of respect for tradition among craft brewers, and frankly not many large scale breweries where this type of equipment makes financial sense. The captains of industry the defined so many styles in the Victorian era never would have imagined the insanity that is a continuous flow disc stack centrifuge. I can barely comprehend it despite having worked with them for six years. GEA Westfalia's video on Separation technology is fairly instructive, even if the music makes me giggle. That's not to say centrifuges have no place in brewing. They are nice pieces of equipment, and offer brewers a clarification technique that's faster than real-time settling and decantation, yet not as aggressive and non-specific as depth filtration. In a high volume situation, centrifuges can save considerable time. The equipment can be tuned to remove yeast, and any finings without stripping the beer of much flavor or nutrients. They can sepaate a thick and fairly dry yeast cake, increasing yeilds of drinkable beer. Honest, and even surly, marketers can call centrifuged beer "unfiltered." Unsurprisingly, running the separation at higher g forces decreases the viability of recovered yeast. Centrifuges do impart a lot of energy to the beer and may cause some protein aggregation and degradation which wouldn't necessarily occur in filtration, or if the beer just sat and waited to brighten. That can mean beer haze. Some breweries, including Victory, follow the centrifuge with some filters to balance this effect. Centrifuged beer should taste somewhere between an unfiltered, and a filtered version of the same brew. It's the best of both worlds clarity and rich flavors. Paul H. Chlup's piece in the The Oxford Companion to Beer indicates that it's uncommon to see fuges in breweries producing less than 100,000 bbls a year. Given those numbers it's unsurprising that I can't recall seeing one on a brewery tour (outside of Anheiser Busch). But I'm left wondering if the ad buyer really understands his market. There's probably less than 20 craft brewers of that size in the US (I could only find 2010 numbers). A handful more are on the cusp of that scale, or just weirdly interested. What makes the ad worse, and may explain everything, is that there's really only two and a half brands of disc-stack centrifuges. This is much more of a coke/pepsi debate than a quest to find the right IPA. Few companies spend centrifuge money without soliciting a bid from at least one other vendor. Maybe this very targeted advertising is an attempt to get an elbow in the door on a big plant build out or retrofit. Centrifuge maker, Alfa Laval gets a lot of milage out of partnerships with Sam Adams.